Stories followed by Q & A. Drag Queen Story Hour (DQSH) is just what it sounds like—drag queens reading stories to children and families. DQSH captures the imagination and play of the gender fluidity of childhood. Kids are able to see people who defy rigid gender restrictions and imagine a world where people can present as they wish. 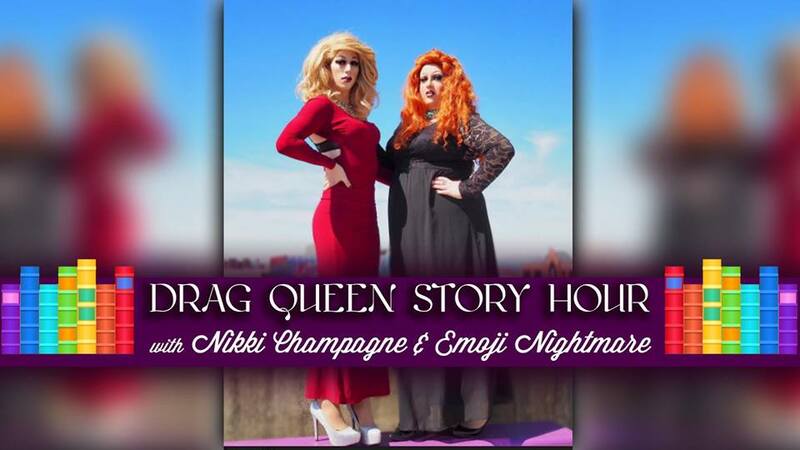 Emoji Nightmare and Nikki Champagne, two of Vermont’s favorite drag queens, will delight audience members of all ages as they share stories focused on individuality, activism, gender, creativity, expression, and social responsibility. More info on the Facebook event page or for more on DQSH, visit DragQueenStoryHour.org.